What is PDT with PHOTOFRIN® (porfimer sodium) for injection? Photodynamic therapy (PDT) is a treatment for certain kinds of cancer that combines a drug, called a photosensitizing agent PHOTOFRIN®, with a specific type of light to kill cancer cells. PDT with PHOTOFRIN® is approved to treat airway blockage in a certain type of non-small cell lung cancer (NSCLC) in patients for whom surgery and radiotherapy are not appropriate. PDT with PHOTOFRIN® is used to relieve symptoms in patients with endobronchial NSCLC when the cancer obstructs or blocks the airway. PHOTOFRIN® is indicated to help lessen symptoms of esophageal (food pipe) cancer when the cancer blocks the esophagus or when the cancer cannot be treated with laser alone. PHOTOFRIN is indicated for the ablation of high-grade dysplasia in Barrett’s esophagus (precancerous conditions) patients who do not have part or all of the esophagus removed with surgery. The patient guide has been designed to help you understand how PDT with PHOTOFRIN® works and what side effects may occur. It also explains what you need to do before and after treatment to prevent complications due to a light sensitivity reaction, which is an abnormally strong sunburn-like reaction when your skin is exposed to sunlight or bright indoor light. PHOTOFRIN makes all patients sensitive to light. Light sensitivity reaction is a common side effect for people who are treated with PDT. If, after reading this guide, you have further questions, be sure to discuss them with your healthcare professional. Reference: 1. PHOTOFRIN® (porfimer sodium for injection) [package insert]. 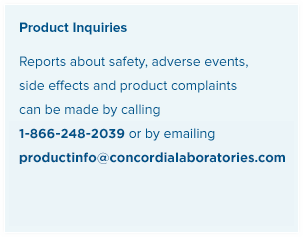 Chicago, IL: Pinnacle Biologics.